We celebrate the resurrection today. It's really the high point of the Christian calendar. We celebrate that Christ rose from the dead because it's such a wonderful victory. It's a victory over the greatest threat that we face. It's a victory in not just our physical existence, but in our spiritual existence as well. 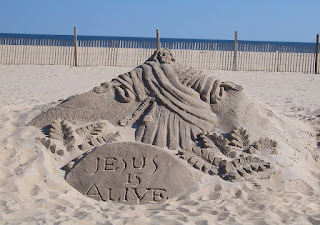 It shows that because he is alive, we are alive. Because he is alive forever, we have also that eternal life in us, and because of him and through him and with him, a life of heaven. And so that is a big celebration right there. The Bible accounts describe many different ways in which Jesus appeared to friends of his over the next forty days before he ascended into heaven, sometimes even in different forms. Sometimes in ways that they wouldn't have recognized him until a certain, maybe he said something in one place or broke the bread in another. But it's also that celebration of his victory of his way of thinking, of his approach to life and to the commandments and to religion and spirituality. It's a victory for his teachings. Because it affirms the things that he said as being true, and especially the most important commandment that he gave, that we should love one another as Christ has loved us and that we should not judge. This is how he lived his life, all the way through and even on the cross he said, "Father, forgive them." When it looked like it was the end, it was really just the beginning. And so that's a good message for us to celebrate in our lives. Even his apocalyptic preaching that he did, he would say, "When all these terrible things that are going to happen before the end, they're going to happen, but it's still not the end." The Apostle Peter wrote that when we lay aside this earthly tabernacle, we have another, a house not made with hands, eternal in the heavens. What a wonderful piece of news to hang on to, what a wonderful Gospel to hang on to. As long as we're following Christ, we're not going to come to an ending. But only to new beginnings. Things do change. Everything in life changes, but we don't think of that as the end when we live by faith. We think of it as the beginning, another new beginning. A transformation, a metamorphosis like what we see in the spring when the flowers start blooming and the trees bud and the grass turns green again, that's a message about us and about eternal life that Christ invites us to be a part of. till in the heaven we take our place." It's a whole pathway that Christ has opened for us. A life of love and change, forgiving the past and embracing the future. And we're all invited to be a part of that. And not only us, but everyone else, too. We extend that invitation to everyone around us and it's our blessing and privilege to find ways to do that. Usually not with words, oftentimes just with our own friendliness and our own handshake and acceptance and a smile on our face and the look in our eye when we genuinely love the people around us and love them into the kingdom into which we have been loved. So in this same conversation with Nicodemus, Jesus went on to say how the serpent was lifted up in the wilderness back in the days of the Exodus, so must the Son of man be lifted up so that whosoever believeth in him should not perish but have eternal life. And he was foretelling what would be happening down the road in his own crucifixion where again he continued to love and forgive the people, even the people who were torturing him to death on the cross. It looked like that was it, seemed like that to all his family and his friends and his enemies, everybody. It seemed like that was the end of things on the cross, but it was only the beginning of the resurrection and the eternal life that we all are invited to participate in. And then he goes on to the next verse and Jesus said, "For God did not send his Son into the world to condemn the world, but that the world through him might be saved." Jesus didn't come to condemn anybody, but to save everybody. Now, some people might say, "Well, that's a new way of looking at things." Well, it's not very new because it's in the Bible and it's 2,000 years ago and it's the first thing Jesus said when he was talking to Nicodemus. That he did not come to condemn the world, but to save the world. To give us that life, to bring us into life. Peter wrote that it's not God's will that any should perish, but that every one should come to repentance. That every one should become alive in the Spirit. The Apostles wrote about the gifts of the Spirit, the fruits of the Spirit, and a whole life in the Spirit. About how we should know each other after the Spirit. Jesus talked about forgiveness, not just on the cross, but his whole ministry. He said, "Don't judge. Do not judge, but instead love, even your enemy." And whenever he was asked about, "Well, how many times do I need to forgive somebody? About seven times?" And he said, "No, seventy times seven." Just continue, that's a whole lifestyle, that's a whole bearing and attitude that we have in life. It's an attitude where we don't judge anybody, but we love everybody. As followers of Jesus, our job is to love everybody. That's his commandment. "By this, everybody will know that you're my disciple, if you love one another as I have loved you." That's our calling, that's our vocation, that's our job, that's our privilege in life to get rid of the whole burden and love everybody, even our enemies. We're invited to Heaven. We're invited to that spiritual place where love is perfect. Where there is no hurt, no sin, no sorrow, no death, no pain, no suffering. Only peace, only love, only everybody caring about each other and encouraging and supporting each other. In terms of the physical location, it's everywhere. Paul told the philosophers on Mars Hill, "God is not far from any of us. For in him we live and move and have our being." Wherever God is, heaven is there. And wherever we are, God is there with us. And heaven and all that is in Christ, that's why we're invited to live by the Spirit and not by the flesh. He's right there in our hearts, he's as close to us as our own breath. He's right here in this very place. As the Psalmist said, you go to the top of the mountain, down to the lowest depths of the earth, go out into outer space, wherever you might go, God is right there. And all we have to do is turn to him when we think of him and we're in communion with him. Then that extends then to everybody else in Christ, each other in this realm, when we come together or whether we go apart, whether we're here on earth or whether we're there in heaven, we're all together in the Spirit. Every year we celebrate the Transfiguration when Peter, James, and John went with Jesus up into the mountain to pray and there Elijah and Moses, who had both lived hundreds of years before at different times themselves, and the voice of God spoke to them. And there they all were, all together in one place. And here we are all together in one place. 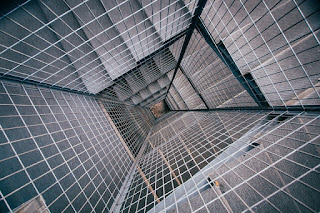 We're invited to join Christ in the spiritual dimensions of heaven and it may seem like it's a long way off, but it's only a long way off in our thoughts and in our feelings. And if we need to be on that journey because every day that we are following Christ a little more closely is a day that we're a little closer to heaven. Christ wants us all to enjoy heaven as fully as we can on earth and in its fullness and completion and glory. We have a song about that too that I'd like to close with this morning, another song by Charles Wesley and think about it as we celebrate the sacrament, think about the closeness of our God and our Savior, Jesus, who is alive and our family and friends that are alive in him that have gone on before us. And others that we love around the world, wherever they may be. As we reflect on the words of this hymn. at Briensburg UMC on April 21, 2019. The image of this event in the life of Christ is rich just in itself. There was a room full of people gathered together to have dinner together, and to celebrate Jesus being there. And Mary anointed his feet with a sweet fragrance that filled the house. Mary and Lazarus and Martha were all there; it was their house in Bethany, Just a few miles outside of Jerusalem where Jesus would be going the next day for the triumphal entry. Presumably some of these other people were there with him, like Mary, the mother of Jesus, because she was there at the cross a few days later. Mary Magdalene, maybe some of the other people mentioned in the Bible and in church tradition also were there in Jerusalem that week. Remember when he was twelve they traveled by caravan, and they would have different places where they stayed over. Maybe this was one of them, because this wasn't the first time Jesus stopped to stay there with Mary and Martha and all these other people that might have been with them. Then Jesus said what he was going to be seeing. What everybody else didn't understand and realize. I started thinking this week about through our lens of being loved and not judged. And looking at our scripture that way. Loved, not judged. And it scooted things around again for me. Usually when I preach on this passage, I preach on the part where it says, "The poor you will always have with you." And that is part of it and that will come up. But it also kind of scooted the lens around a little bit to emphasize for me this idea of the different perspectives people have, and the perspectives we bring from wherever we've been in life so far. Some are hereditary. Some things that are just hardwired to genetics and all. Some are sociological heritage where we've been brought up and where our ancestors were brought up. Some are the things that we just come up with ourselves by our thinking and our study and our experiences, all of it could be changed in this moment. Because in addition to all of those perspectives that we brought in the door with us this morning, it's what we walk out the door with that is renewed, and the division and the perspective we have on life and love and church and spirituality and eternity, and all that we do and think is shaped in each moment by the decisions that we make. Some of those decisions cancel out things that are a part of us from the past. And others bring them more highlighted and bring them to life. And others are new and fresh, that we discover in the moment. Mary and Martha stood out to me first in this passage because this isn't the first time this has come up in the Bible. It says, "And they were getting their meals all prepared. And Martha was helping." First I thought "they" who? Because in our other time in the Bible when this comes up, Martha was doing all the work, and they were all in there listening to Jesus. I'm getting the idea this is not the only two times that ever happened. The two times that made it in the Bible because a lot of things people do never make it into the Bible, but this made it in there twice that Martha was doing all the work while the others were enjoying the company. But all that has its place, but it does change your perspective on things when you look at it through their eyes. Looking at this event through the eyes of "they" whoever they are. All these other people in the caravan, I guess all the people might be present there traveling to Jerusalem for the Passover. And Martha in particular whom we already have been introduced to several times. And one of the other places was at the graveside of Lazarus when Martha said, "If you were here you could have done something". Then Jesus said, "I am the resurrection and the life." And he called for Lazarus to come forth, and Lazarus came forth and was raised from the dead. And now seated at the table here at the house, at his house where Jesus was being anointed. So we just kind of take and look at this event through those different people's eyes. We're going to come up with some different ideas, different perspectives, different views of what actually took place, and what it was about. You then just think about the different perspectives that these people brought to this particular event, the anointing of Jesus. And Mary in particular was the one who did the anointing. What was she thinking? And Judas was asking what was she thinking. And he was named in there; it was in his perspective. It's interesting to me I thought that, it says 300 pieces of silver and this could have been used to trade in for. And when just a few days later he would betray Jesus for only one tenth of that amount, 30 pieces of silver. And you can see from the way he was described in the passage, the perspective some of the others had about Judas too that he was one of the most highly thought of. And it says it could have been sold, and the money could have been used to help the poor. You know, one of the things that I've noticed in the ministry for all these decades is that one of the biggest excuses that people have for not funding the mission of the church is that that money couldn't be used to help the poor. But then one of the great ironies of that is, that it never is. And then when it's time to help the poor, everybody pulls out this very same verse and says, oh, but it says, "The poor will always be with you." And they use that for an excuse why we should not help the poor, because they're always going to be there anyways. That view point. It's a catch 22 isn't it? We shouldn't do the mission of the church because we need to help the poor, but we can't help the poor because they'll always be with us. It's kind of like I guess what they were trying to bring out with Judas' perspective there. So there is that perspective there, that probably more than the man himself is viewing the idea that we need to shuffle around a little bit in our minds and get some new perspective for ourselves. The funding of the mission of the church and the helping of the poor. The mission of the church, Jesus had laid out in his own home church at the beginning of his ministry and reading from Isaiah about all the six things that he wanted to accomplish. In the challenges that he continues to give us through the new testament, and through our personal callings and gifts and graces to do all the works that God has called us to do. None of that takes anything away from helping the poor, but it adds to it. Part of the mission of our church is to minister the gifts and graces that God gives us to help the people around us. So then we look at the event through the eyes of Jesus whose feet were being anointed, and who said to the others, "Let her alone, let her do this. This is for my burial." Now over and over throughout his ministry, he had been telling people that he was coming to this point. And now it was here, but everybody still didn't see it. But he saw it and he expressed it once again here. "She's anointing me for my burial." It's not even a week away. And the week away he would have been already in the tomb for two days. And the next day would be raised from the dead. He was looking at that now he was entering this holy week that we'll be celebrating next week. And he was always looking at everything in terms of our healing. Now he was wounded for our transgressions, Isaiah said. Bruised for our iniquities. The chastisement of us all was laid upon him. And by his stripes, we are healed. When we think about salvation, I think it would be helpful to think about it through the eyes of Jesus, the Savior. We profess that Jesus came to be our savior, and to save us from sin, and to save us for heaven. And these are the valid things, that's what the Bible teaches and that's what we believe. But sometimes our perception of what that is a little off. And I think when we look at it through this event and through the eyes of Jesus at this event, it really brings out the healing aspect for that. And if we use the word interchangeably, which it can be, it's translated interchangeably in the Bible, we're healed by him. Our sins are healed, that our hearts are healed, that our lives are healed. We're healed for heaven. If we just think about salvation a little more in terms of healing, then it clarifies for us really what salvation is. And if we think about it less in terms of healing, it sort of mystifies it into something that we can't quite figure out what it's talking about almost. Absent of healing, it loses its meaning. Salvation loses its meaning absent of the healing properties of salvation. That was the work that Jesus did. As he went around doing good, his ministry was a ministry of healing, of body and mind, of soul, of relationships, of conditions that people were in, many were very personal and some were the whole family, and some were the whole community. But wherever the hurt is, that's where were sent to provide the healing, that's what salvation is; that's salvation. This, the healing, salvation of the Lord. And the perspective that we bring to any passage of scripture is going to shade our understanding. 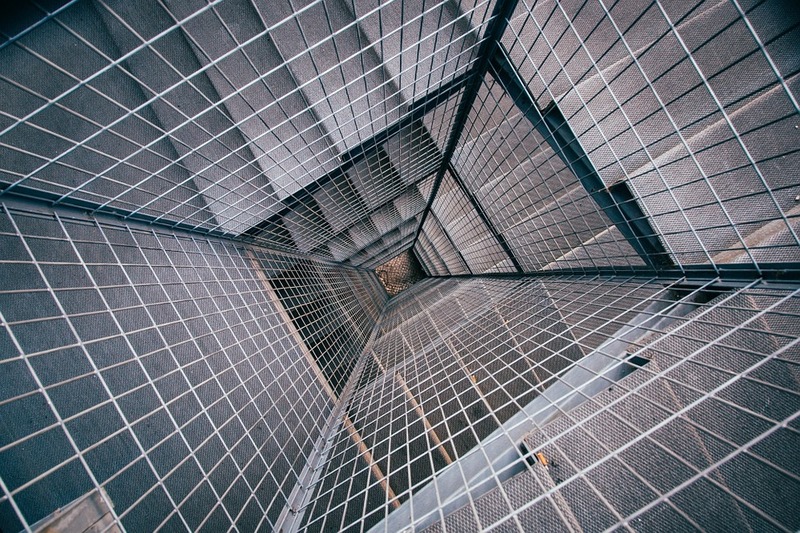 If we bring this perspective looking through all these different eyes, what we're doing, and then what the Bible is saying, and what we're talking about it with one another. And especially we want to try to see through the eyes of Christ. What was Christ trying to say? What's Christ trying to do in our hearts and minds. And we bring that I think then to the table this morning as we gather around the table of the lord, break the bread and share the wine. And as those who wish to receive an anointing, go to be prayed over for healing, how does this look through the eyes of Jesus? When he broke the bread, when he gave the wine. What was he thinking when he knelt down and washed his disciples' feet? And when he got up and went from there to Calvary, what was he thinking that all this should mean and for us today in this hour? Transcript of the audio for the sermon preached extemporaneously at Briensburg UMC on April 7, 2019. The prodigal’s extravagantly wasteful living was completely overshadowed by the parent’s extravagant forgiveness and love and acceptance. “We had to celebrate and be happy, because your brother was dead, and now he's alive. He was lost, and now he has been found.” (Luke 15:32 GNT). We're looking at our scriptures throughout this Lenten season through the theme of being loved, not judged. There is so much when we look at it through that lens stands out about how open, and free, and complete the father's celebration, and happiness, and joy was in having this relationship restored. The son came prepared to confess all his sins, but the father just went right past that and said, "Grab a ring and robe. Restore this son of mine to his former position." As fast as he saw the son, the forgiveness was as complete as it could ever be. Our sins are cast from us as far as the east is from the west, buried in the deepest water, never to be brought up again. [i] That's so evident in this passage, when you look at it from the standpoint of the father and his running out to greet the child and bring him fully back into the fellowship of his family. There are two other parables right before this that have a similar theme. One is the parable of the lost sheep, where Jesus finds the sheep that is lost and rejoices and celebrates because the sheep that was lost is now found. The other one is the parable of the lost coin. The woman has lost this coin and turned the house upside down looking for it. When she finds it, she rejoices because she has found that one coin that was lost. Now, in that context, this person who was lost is found and restored, and the celebration becomes tremendous. Without judgment, but only with love. Now, there was judgment on some people's part. His brother wasn't too happy, but the father straightened him out, because the brother was wrong in the judgments he was making and the viewpoint that he was carrying. It was just wrong, and the father had to correct him. It wasn't because the brother was wrong about everything, or that he was mean as a person or anything. He was looking at it from another point of view, and he needed to have his vision adjusted a little bit. He needed to be straightened out on that one point. As extravagant as the prodigal's spending had been, as wild and thoughtless as he had lived his life, it was all overcome completely by the extravagance of his father in forgiveness, and reconciliation, and celebration, and rejoicing, to the extent that the rest just washed out. It was just gone. There was nothing there left but love, and rejoicing, and happiness. That's what God invites us to and calls us to is that kind of love for each other and for the world around us, that our love for one another, including everyone around us when we leave this room reflects the love we have in this room, of full, and free, nonjudgmental, receiving the people around us with joy. When our paths cross with somebody, we should recognize that God is in that crossing. God brings us into connection with each other. We need to receive each other and the people around us in holiness and in love, knowing that everybody we cross paths with is another person God loves, that Christ gave his life for, that God loves extravagantly. We need to realize that about ourselves, too. The love that God has for us is not metered out and measured. He just pours it all out on us. Any one of us can think that at any time, and feel that, and recognize that God loves me. God loves you. God loves all the people that we meet, in such a way that he even would give his own son to be our savior. That's extravagant love. He cares about us in those ways. That's what Christ was up to on Calvary, reconciling all things to himself at whatever cost it might be. The messages are all about welcoming. They're all about reconciliation. They're all about breaking down the barriers between us, being in love and charity with one another, with each other, and with everybody else around us. We're finding ways to not only be breaking down the barriers but building the bridges that need to be built from heart to heart and mind to mind, and even the celebration. It all comes to rejoicing, and celebrating, and being so glad. When that connection is restored, it's an invitation to everybody to come home. Come home, and you will be welcomed and received graciously, and with joy, and with happiness. That's the kind of people that we want to be. That's the kind of people that we want to be around, the people that are glad to have us around, and we're glad to be with them, and they're glad to be with us. Through all of this, God restores us to what God created us to be in the first place. His companions, his children, his family, and restores our sense of family, and unity, and joy that we were made to have from the beginning. Now, the thing that blocks that the most is when we judge instead of love, when we decide that we need to make some kind of distinctions as to who we're going to love, and who we're not, and who is welcome, and who isn't. When we do that, we don't just hurt other people, but we heart ourselves, as well. We lose something of ourselves, as well. The invitation is, come home, and bring everybody with you. Bring the whole family together. [i] Psalm 103:12; Micah 7:19; Hebrews 8:12. Transcript of the sermon preached extemporaneously at Briensburg UMC on March 31, 2019. 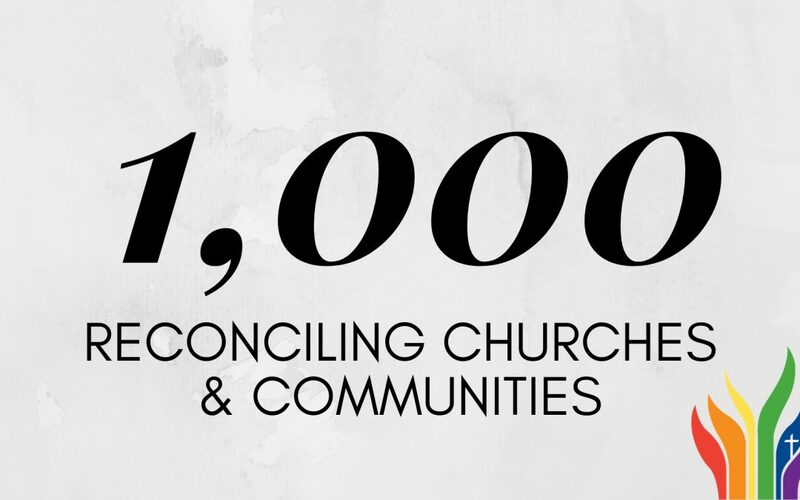 Briensburg United Methodist Church in Benton, KY, became the 1,000th Reconciling Church on Friday, March 29, 2019. If we're going to work for unity, it seems reasonable to have a defined yet flexible framework for what would constitute acceptable forms. Perhaps the clearest Biblical challenge to work for unity, along with a description of the spiritual oneness to which we are called, comes from Paul in his letter to the Ephesians. The imagery of the Bible provides us with an understanding of what unity is and its importance to God. Yet, the shape of unity is left ambiguous in the Scriptures, perhaps intentionally. Maybe, as with many of our other deeply held convictions based on our various understandings of the Bible, our quest for unity is expected to be forged in the crucible of love. Unity is a reflection of love. As our love grows in similarity to that of the Trinity, we align our differences like harmonious chords formed from distinctly different notes. The more diversity we share, the richer our music becomes. Our richest relationship is with God, in whose image we are created yet who remains infinitely different than us in so many ways. To the extent we can tolerate each other's differences, our love and unity can be perfected. Unity is a gift we give each other. Unity is a relationship where we love, accept, and protect each other, even while advocating opposing views. Unity is the state of being reconciled with each other into one accord by reorienting our relationships around the love we share. 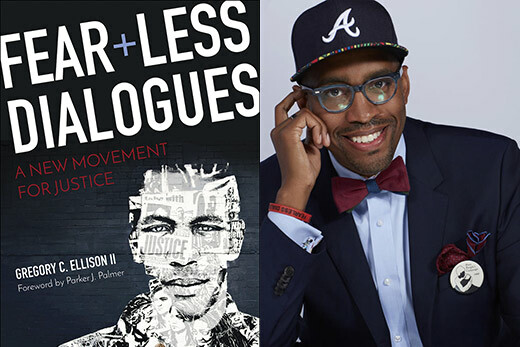 Fresh off the "Fearless Dialogues" clergy spiritual life retreat, I heard a desire for unity despite deeply held opposing convictions regarding inclusiveness. We all practiced our listening skills, intentionally seeing and hearing each other more deeply. We were challenged to especially focus on seeing and hearing the people with whom we enter a 36" space for at least 42 seconds. 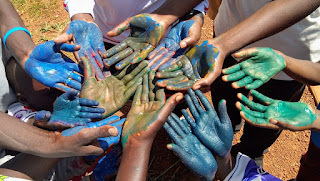 We were encouraged to reach out and create opportunities to engage others in ways that create spiritual space for meaningful dialogues with less fear. It seemed like everyone was very supportive of each other and sincerely cared about each other's thoughts and feelings. All with whom I interacted expressed great love for Christ, other people, and the Bible. I saw and heard and felt the effects of the Holy Spirit moving among us. We shared holy conversations, Holy Communion, holy singing and preaching and prayer. During breaks, some of us remembered previous times of ministry together, talked about our current church and family situations, and enjoyed being together regardless of our stances on inclusiveness. I left feeling loved. I left feeling certain that no one will change their views about inclusiveness on the basis of argued points, including me. Our convictions are shaped over a life time of experiences. I left feeling certain that we can create spaces of unity for each other. We can see and hear and respect each other's experiences. We can advocate for structural changes that enable us to continue as "One Body in Christ" without expecting each other to back down from the things we believe in. Standing up for and strongly advocating what we believe in can be done in ways that strengthen, rather than destroy, our unity in the love of Christ. Of course, those who oppose unity probably would not have chosen to attend this kind of retreat. That leaves me feeling challenged less to change anyone's mind about inclusiveness and more to change minds about unity. I do sympathize with the sense that it would be easier for us to break up than find our way to stay together. But some of us would rather do the heavy lifting and see if we can stay in love and charity with one another regardless of our deeply held opposing convictions. That kind of change will come only through our "Fear-less Dialogues," one prayerful conversation at a time. A voice came from the cloud and said, "This is my Son, whom I have chosen. Listen to Him." Jesus is the primary voice in the scripture, really among any voices that we have. We're always surrounded every day, and more and more with the technology of today, we're just constantly hearing all kinds of voices telling us all kinds of things, calling us in all different directions, interpreting everything in all these different ways. And while they're really interesting, they can also be confusing, and then it's difficult sometimes to know what voices we should be listening to and what ones we should be kind of filtering out, and what voices we should be contradicting and speaking against. And what we should just let go to the wind. 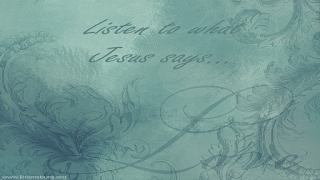 In this passage, the emphasis on who to listen to is on Jesus. When God said, "Listen to Him," it can be read with a lot of different inflections, but God said, “This is my chosen one. This is the Messiah. This is my Son.” It wouldn't be very long after this Transfiguration ‘till Christ would give Himself for us at Calvary. And so when John says listen to Him, that's where the emphasis really has to be. Of all the voices that you're going to hear, listen to Him. Understand or follow or connect all the rest of the voices according to what Jesus says. One of my favorite music groups is the Moody Blues, and one of my favorite songs that they have is the Minstrel's Song, and one of my favorite phrases in that song is, "Listen to the one who sings of love, follow our friend, our wandering friend. Listen to the one who sings of love; everywhere love is around." There's a meme that started circulating on the internet, a cartoon type of sketch of Jesus talking to a bunch of people with their Bibles, and He said, "The difference between us is you interpret love according to the scripture, and I interpret the scripture according to love." I think it's probably circulating among the Methodists right now because of the conversations that we've been having around General Conference and around inclusiveness. Everybody's pretty much kind of having to go to our corners over that way -- which way is the right way to listen to Jesus. Do we listen to Him and interpret everything according to what He said, or do we put it all in a big pool and interpret what He said in the light of everything else in the Bible. Jesus gave us the great commandments that Moses gave and lifted those up as the basis of interpreting all of the scriptures. In Matthew 22:36-40, when He said, "The greatest commandment is to love God, and the next greatest one is to love one another." And then he said, "On these two commandments hang all the law and the prophets also." That's the Bible. And often in Jesus' teachings, He would say, "You have heard it said in the Bible," referring to passages in the Bible, and He would say, "But I say this." Or when He was challenged about something, "Why did you do that? The Bible says you can't do that." He never relinquished His authority, even over the scriptures, which we continue to affirm to be His word, the word of God. If you were reading a book and then you say, "Well I read that book and it means such and such," and you're talking to the author of the book and he says, "Sorry, that's not what it means," who would be right? You would be right that you thought that's what it meant, but the author would be right in what it really meant to the author when they wrote the book. So if you get something out of it differently than that, then the reconciliation has to happen somewhere. That's kind of where we are I think in our Methodist churches. Everybody has to decide where the reconciliation will be. Will it be our opinions? Will it be other views? Will it be other voices in the Bible? Will it be what we hear Moses saying or what we hear Paul saying? Or will it be what we hear Jesus saying? 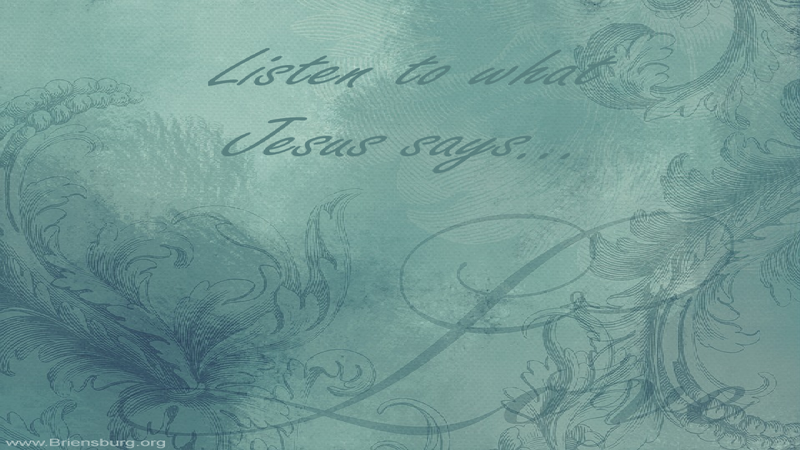 If we hear what Jesus is saying and we listen to Him, then all these other voices, we won't be ignoring them. They'll all be falling in line. They'll all become clear. The whole Bible, it just becomes a whole new world for us when we listen to it and read it through the eyes of its author, through the eyes of love, through the eyes of Jesus. And it becomes even I think, to me, it becomes even more important and even more central when we do that when we put Jesus first. He said, "If I be lifted up, I will draw people to me." (John 12:32). We put Him first, and His understanding first. Then everything else will fall in place. I think He might have even said that in another way when He said, in the Sermon on the Mount, "Seek ye first the kingdom of God, and His righteousness; and all these things shall be added as well" (Matthew 6:33). The priority, then, is the teaching and example of Jesus. He gave a new commandment as the sign that we are truly His followers, and it was the very thing we're talking about, that we love one another as Christ has loved us. By that, everybody would know that we're His disciples. And by that discipleship, we would view the world and the scriptures through His way of understanding them. We're His disciples, first and foremost. Whatever else we are, whatever organization we're a member of, whatever church, whatever groups, whatever networks, whatever else that we are a part of, whatever even our national citizenship or the jobs that we have or the hobbies or families or anything else in our life, if Christ is first and His commandment is first, then everything else will fall into place around love. And it will rise, or it will fall, or it will change, most of it will just change. It'll all still be there; it'll just change to conform with the love of God in Jesus Christ. And that changes our witness. Jesus spoke of being Himself being a witness with his conversation with Nicodemus. He identified himself as the one who came down from heaven and is still in heaven and is sparing testimony to the things that He has already experienced in heaven. 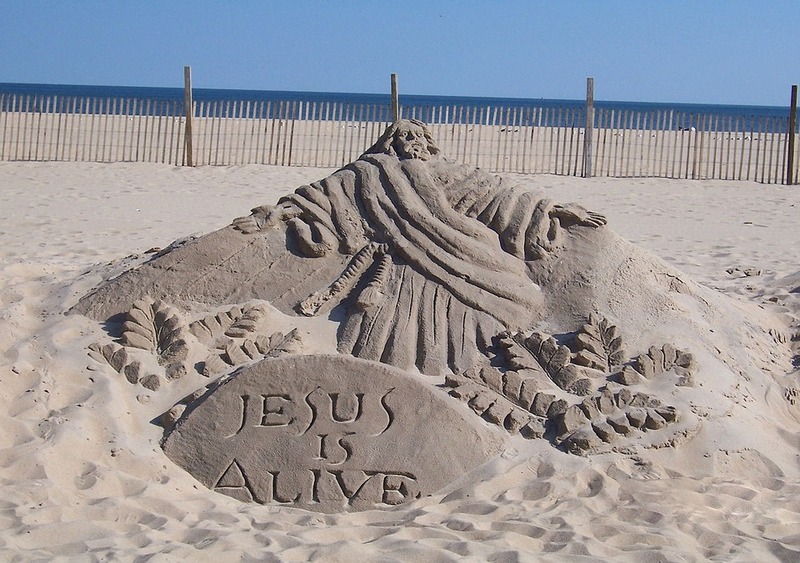 A lot of times, we think about Jesus as the one who came from heaven and went back to heaven. He knows the way. When we take Him as the way, the truth, and the life, that's a part of what it means. He'd been there, 'cause that's where He came from, and that's where He went back to, and that's where He's taking us all. And He alone knows the way. A lot of other people claim that their way is better than His way, and everybody has the right to weigh these out and choose, but Christ invites us to follow Him and His way, the way of love, the way of His teachings, and His example of forgiveness and acceptance and love and mercy and healing. And all of that's born out in the transfiguration, where they were on earth, and they were in heaven all at the same time. And they were visible to each other, the people on earth and the people in heaven. Not just the ones that had died, not just Moses, or not just the one that had been taken up in a fiery chariot and didn't die but went to heaven, Elijah. Not the one that came down from heaven and was in heaven, Jesus, but also Peter, James, and John who had not died, they had not been taken away in a fiery chariot, but there they were on the mountaintop with the others. And that's why we refer to our mountaintop experiences. I had one on this day 41 years ago at 4:30 in the afternoon. And I felt completely overwhelmed and enveloped in the love of God, inside and out. And ever since by faith, I saw that stream, God flowing [inaudible 00:08:45] supply, redeeming love has been my thing and will be until I die. And that's what God wants for us. He wants us to dwell in [inaudible 00:08:54], living on the mountaintop. He wants that for us. He wants us to feel like shouting even if we don't want to, but feel like it. He wants us to walk around with joy in our hearts and smiles on our faces, with our mind free and filled with a peace that passes understanding and joy unspeakable, and full of glory. He wants us to see the angels ascending and descending. He wants us to have all the visions and all the glory and all the happiness and joy of heaven right here and now. At least what we can handle of it. And he wants us to handle a little bit more every day, and we just step into it. Take it as it comes and walk into it one step at a time and little by little, joy by joy, [inaudible 00:09:37], precept upon precept. Or as one of our hymns says, "Change from glory into glory, till in heaven we take our place, till we cast our crowns before thee, lost in wonder, love, and praise." (Charles Wesley, Love Divine AllLoves Excelling). That's our witness. Then when we are filled with that joy, that's our witness. When we feel Christ living in our hearts and walking among us and empowering us, that's our witness. As we ascend to where Christ has already ascended and invites us and is preparing a place for us, and I will come again, bring you with me. That's not just like later, that's now. We're on our way now. And a bunch of our songs. We do that song, but I'm gonna try to remember another song right now. We have so many hymns to go to. It's about our relationship with God, with each other, with the world around us. From the cross, Jesus said, "Father forgive them." (Luke 23:34). That's our bearing that even under the harshest treatment we love. That's our choice, to respond in love. That's His spirit moving within us to make us feel that way, make us want to do that. The spirit that empowered Jesus to rise from the dead, Paul said, is the same spirit that is in you, quickening your immortal body, empowering you to love as Christ has loved, empowering us with these spiritual gifts that we might serve and enjoy and minister to one another through these gifts and to the world around us. So I close with my favorite verse from 1 John 4:7-8. "Beloved, let us love one another, for love is of God, and everyone who loves is born of God and knows God. Those who do not love do not love God, for God is love." Transcript of the sermon preached extemporaneously at Briensburg UMC on March 3, 2019. UM Book of Discipline Free Online Ed. UM Book of Resolutions Free Online Ed.